Hello everyone, how has your weekend been? 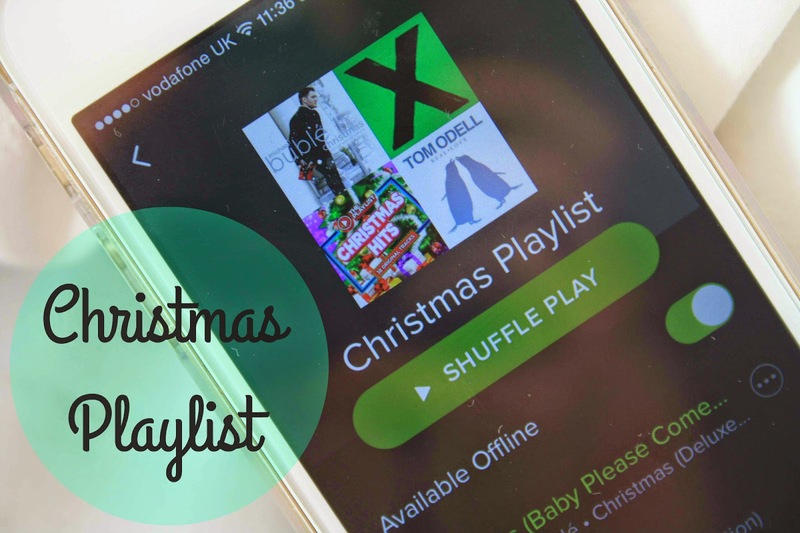 Anyway, running with the Christmas theme here we have my Christmas playlist! This is a mixture of Christmas songs, and just normal songs, so I hope you enjoy. Christmas (Baby Please Come Home) by Michael Buble – My absolute favourite Christmas song, Michael Buble’s album is the best Christmas album out there. Thinking Out Loud by Ed Sheeran – Not a Christmas song, but such a calming lovely song for the Christmas time. Merry Xmas Everybody by Noddy Holder, James Lea and Slade – Classic Christmas song, everybody loves this, one of my personal favourites. Real Love by Tom Odell – From the John Lewis advert, this song is the sweetest and Tom Odell sings it so well. Let It Go by Idina Menzel – From Frozen, of course everybody knows this one. Its so popular but such a catchy song for Christmas and I know everybody can’t resist it! Budapest by George Ezra – Again, not a Christmas song but such a calm song. I love more calming songs in the winter its just more relaxing to wind down for Christmas. Santa Tell Me by Ariana Grande – I’ve actually been loving Ariana Grande’s new album, and this is such a lovely new Christmas song that I think everybody should go and listen too. Cool Kids by Echosmith – This song has only recently been realised I believe, but its so catchy and you just get good vibes from it. So Far (It’s Alright) by The 1975 – What would a playlist be without The 1975, my favourite band ever. I can never get bored of this song, and I think it fits well into a Christmas playlist. Jingle Bells by Michael Buble ft The Puppini Sisters – A bit more Buble never hurts, this one is so catchy and he just sings it beautifully. All I Want For Christmas Is You by Mariah Carey – Another classic song for Christmas, who doesn’t love this song basically?! Wrapped Up by Olly Murs – Such a happy song for the Christmas time, everyone loves a good Olly Murs song. Left Hand Free by Alt-J – I just really like this song and Alt-J are something a bit different! Good Thing by Sam Smith – This is from his new album, which I love, and this has to be one of my favourite songs on there. Jingle Bell Rock by Bobby Helms – This has to remind you of Mean Girls right, such a good Christmas song and probably one of my favourites. So, whats your favourite Christmas song? Thanks for reading guys, I hope you enjoyed and maybe discovered a few new songs too.